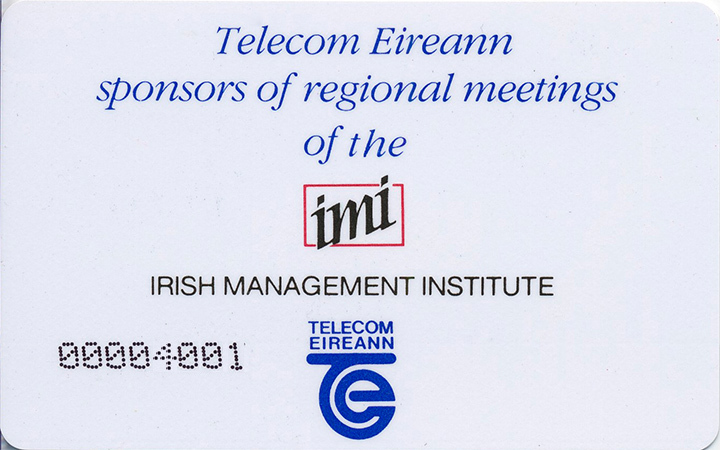 All of the 50u IMI Callcards were given out at the IMI conference in Killarney in May 1989. 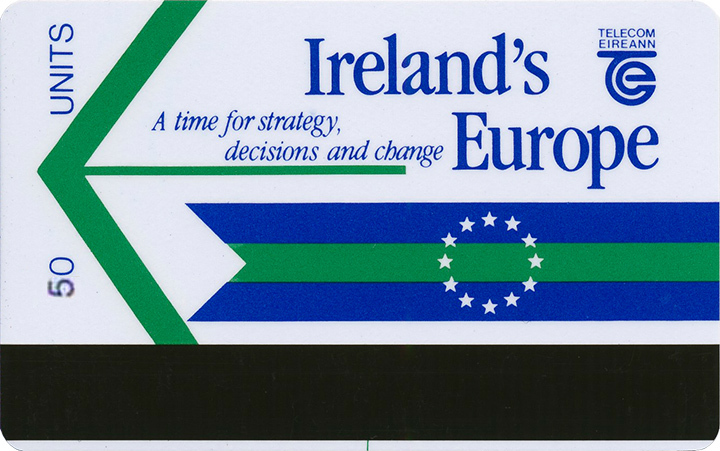 With Telecom Eireann sponsoring the event, the cards were given to attendees as a complementary gift, but because the Autelca cards were part of a trial system (and would only function on the 31 Phones installed around Limerick), most of them were thrown away. Rumor has it that the remaining 50 unit cards were disposed of by the hotel that hosted the conference. These are extremely hard to come by, more so than the 20 unit version (with a lower production run) because they were only ever in the hands of attendees and most have been disposed off or lying tattered in the bottom of businesses filing cabinets.